Info Chris Van Hollen was elected to the U.S. House of Representatives from Maryland's 8th District in November 2002. Van Hollen serves on the Committee for Education and the Workforce and the Committee on Government Reform. He is also the Vice Chair of the Renewable Energy and Energy Efficiency Caucus. The son of a U.S. Foreign Service Officer, Van Hollen was born in Karachi, Pakistan and lived also in Turkey, Sri Lanka, and India. After receiving a graduate degree in public policy and national security studies, Van Hollen worked in the 1980s as a professional staff member of the U.S. Senate Foreign Relations Committee and as the Legislative Assistant for national security issues to Maryland Senator Charles Mathias. During Van Hollen?s service on the Foreign Relations Committee staff, he traveled to the Iraqi-Turkish border to investigate chemical weapons use by Saddam Hussein against Iraqi-Kurdish civilians. His 1988 report, co-authored with colleague Peter Galbraith, was the first U.S. documentation of chemical weapons use since the First World War. 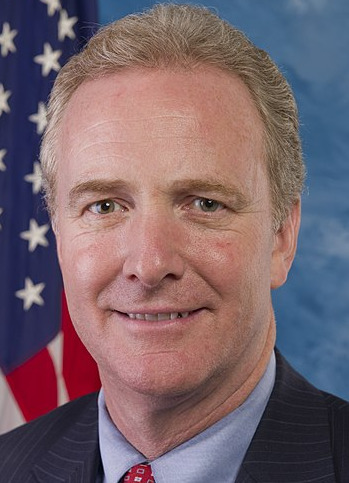 Chris Van Hollen is a graduate of the Georgetown University Law Center. He also holds a Master's Degree in Public Policy from Harvard University's Kennedy School and an undergraduate degree from Swarthmore College. Chris Van Hollen and his wife, Katherine, live in Kensington, Maryland with their three children - Anna, 12, Nicholas, 11, and Alexander, 7. He is also an MSI soccer coach.